Elevage en futs (100%) de 1 à 2 ans pendant 10 mois afin d'apporter au vin plus de concentration. Inky ruby. Textbook syrah aromas of cassis, black olive and violet, with a spicy overtone. Juicy and precise, offering lively dark berry flavors that pick up a refreshingly bitter quality with air. Finishes smoky and long, with smooth tannins and a late note of allspice. A fleshy, forward style, with ripe plum and lavender note on the finish. Drink now.” mulled raspberry and blackberry notes mixed with hints of singed mesquite and black tea. The silky, lingering finish shows a twinge of white pepper. Deep ruby. Cassis, minerals and bitter chocolate on the fragrant, high-pitched nose. Juicy, pure and sharply delineated, with lively cassis, bitter cherry and violet flavors nicely lifted by juicy acidity. Finishes with firm, youthful tannins, bright minerality and juicy black fruit and violet flavors. 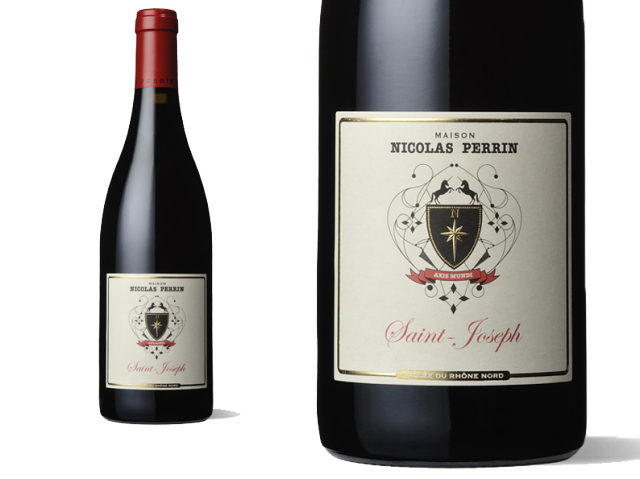 Much of this fruit came from the granitic soils of Mauves, which Marc Perrin believes is the reason for this wine's vivacity and minerality. "That and the nature of the 2010 vintage," he noted. 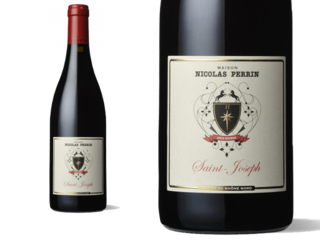 The red wine offerings include the very fine 2010 St.-Joseph, which offers lots of black olive, raspberry and black cherry notes, a crushed rock-like component, medium body and refreshing acidity.